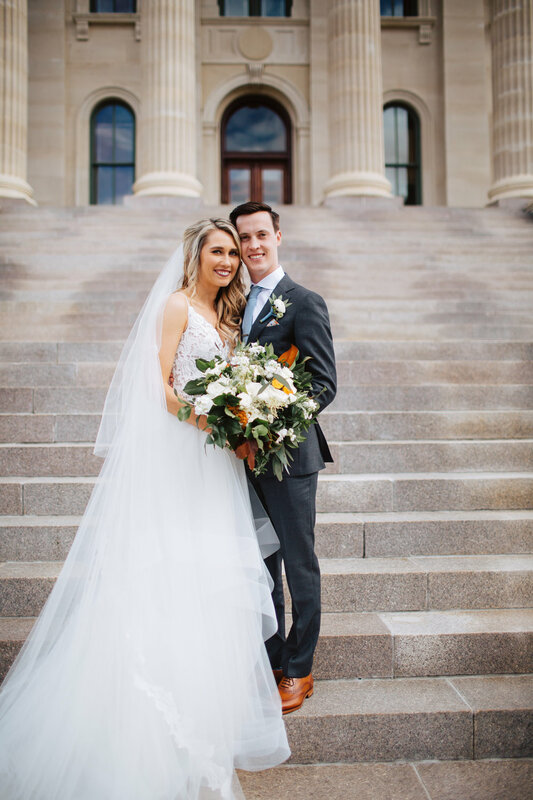 This Wild Hill couple tied the knot back in October at The Jayhawk Club in Lawrence, Kansas. 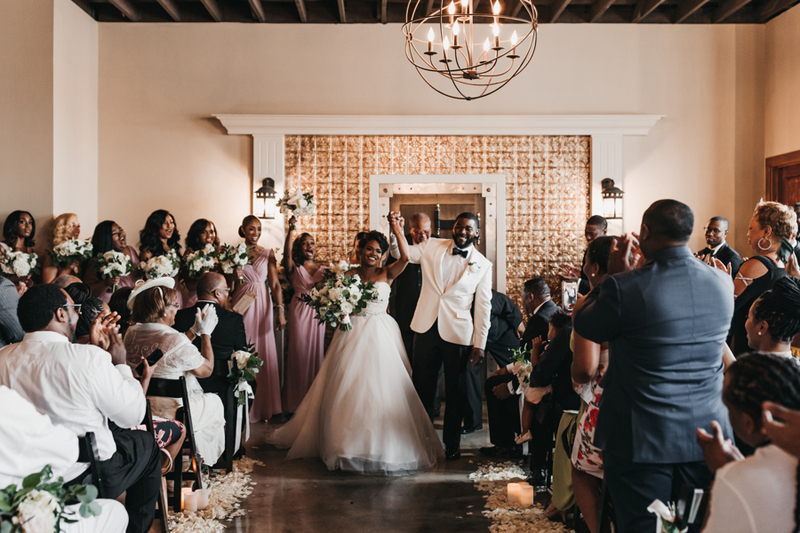 Every detail of their romantic day was absolutely breathtaking; from their gorgeous tented ceremony to the tuscan-style candlelit reception following. We were so honored to be part of this special day! Our gorgeous #WildHillBride, Chamberlain, chose this stunning combination of white, burgundy and blush blooms for her garden bouquet. We also included pops of white and navy anemones to compliment her man’s tux! This bouquet was the perfect combination of large focal blooms such as dahlias and garden roses, with accents of wispy wildflowers! 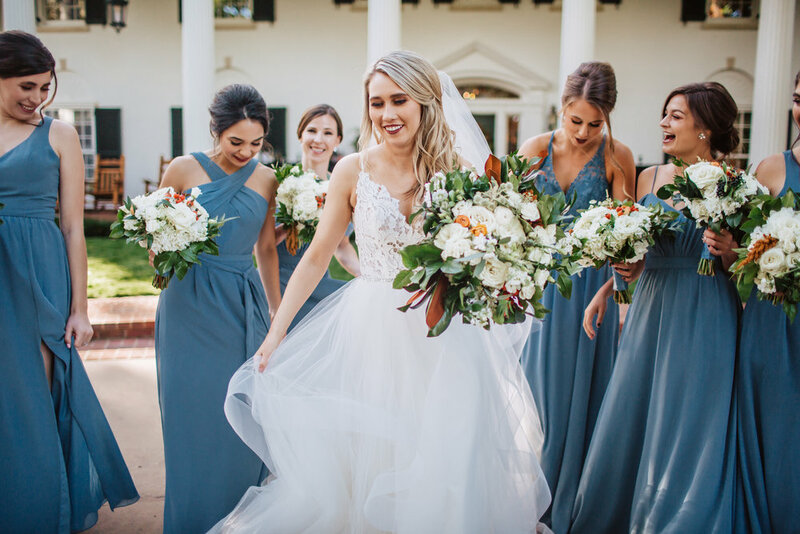 Chamberlain’s Emily Hart Bridal gown was absolutely to die for! 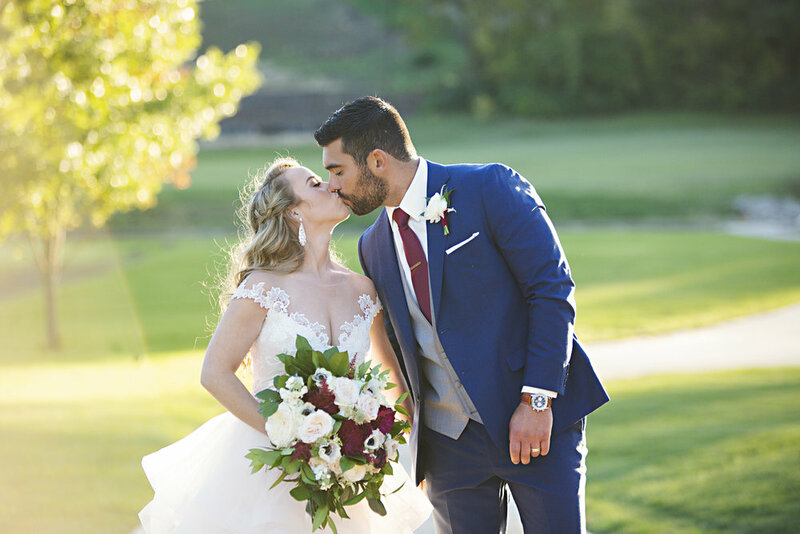 The couple’s burgundy and blue bridal party didn’t disappoint either! 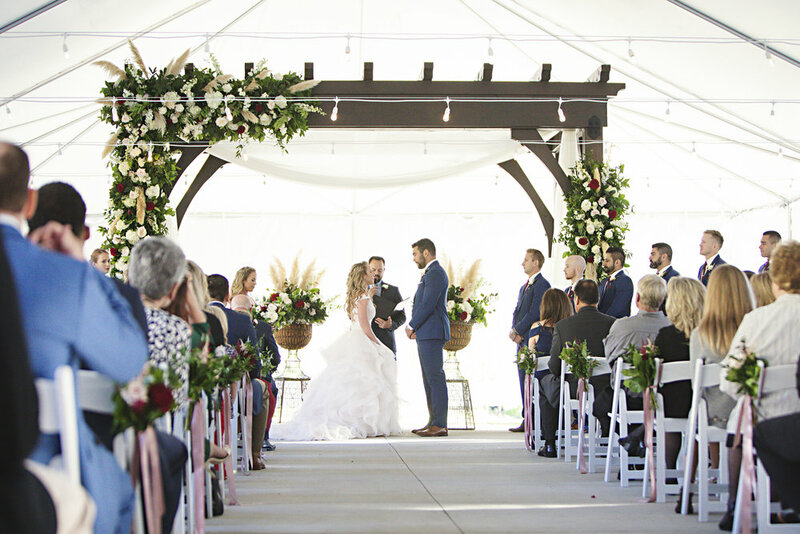 And this ceremony space…. SO STUNNING! 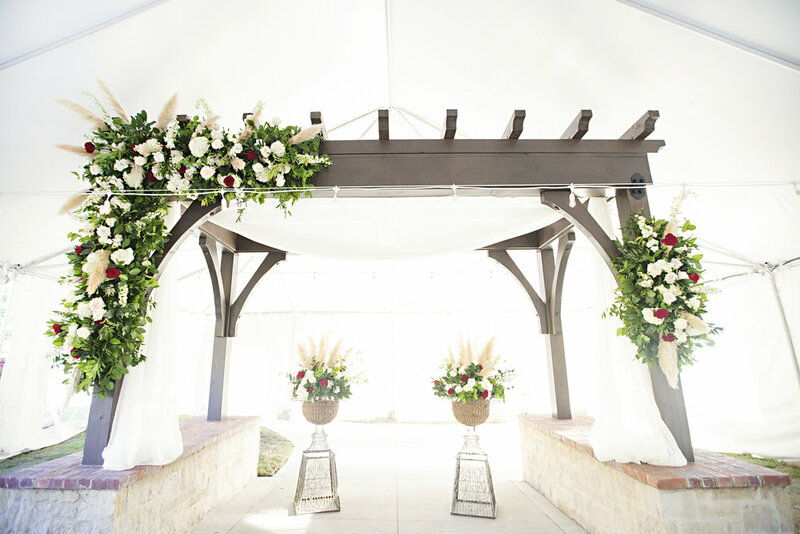 The Jayhawk Club offers a beautiful (and massive) wood arbor for their ceremony site. We added a large corner piece consisting of greenery, hydrangea, roses and pampas grass to really make it pop! 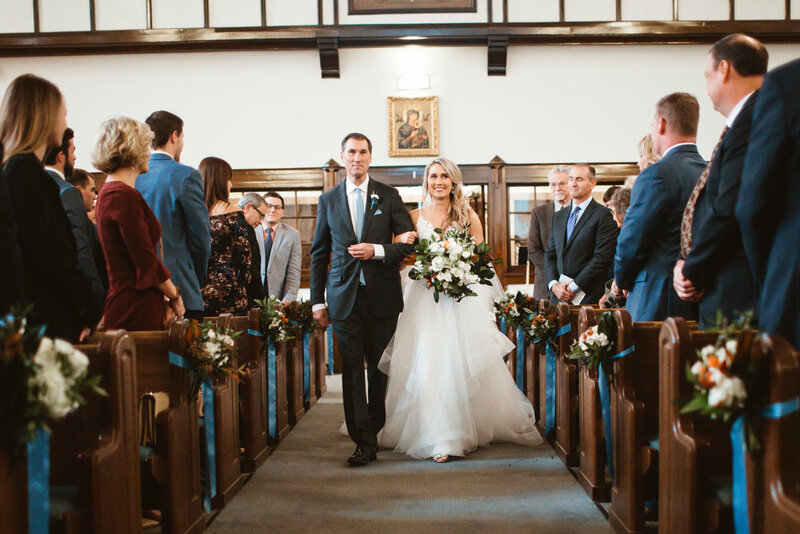 The couple said “ I do” in front of two large altar arrangements, while the aisles were adorned with delicate floral clusters, tied with draping silk and velvet ribbon! Chamberlain and Alex’s reception was just as lovely as the ceremony! The beamed ceilings, billowing drapes and industrial chandeliers elevated the romantic atmosphere of the entire evening! 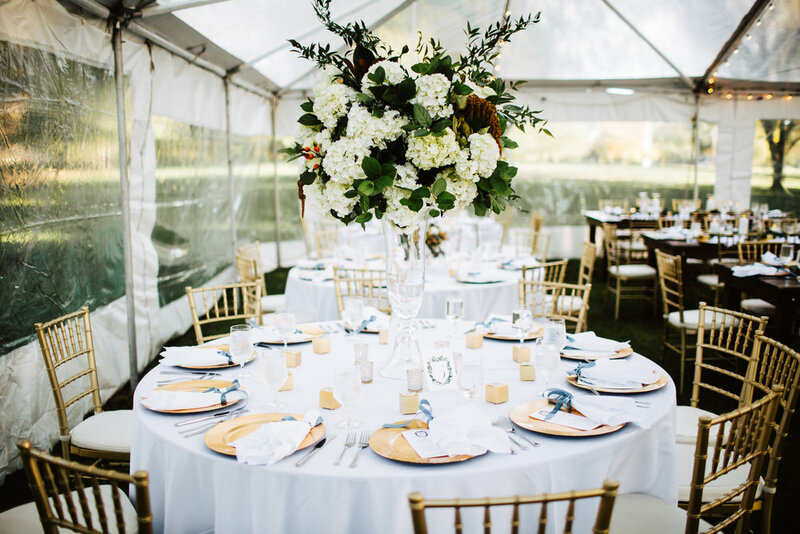 The room was filled with beautiful details including mix-matched candles and flower arrangements in blue glass vases running down each table. Each guest was also greeted with a sprig of greenery on their place setting! 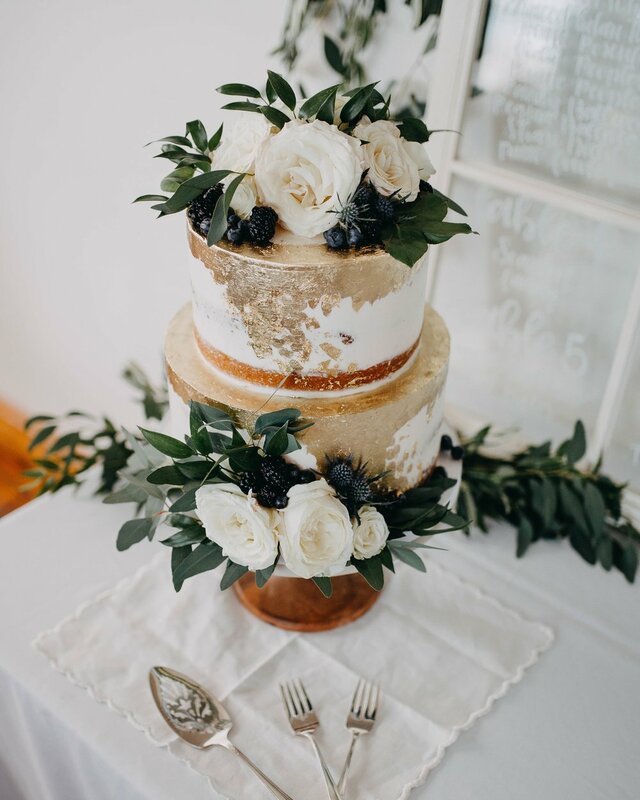 And to top it all off…this stunning 5-tier cake with cascading blooms, designed by the talented Adorn Cakes! Check out the talented vendor team below! We are SO excited to see everyone on Saturday, March 2nd from 1-4pm for our Open House!!! It will be such a fun event for our current and future brides to see the shop, our selection of glassware and meet some of the team! Come enjoy drinks, treats and giveaways! Our designers will also be there to help you review your proposal!! Keep scrolling for more details on the day! Meet Our Open House Vendor Team! We will be handing out door prizes to the first 10 brides in attendance (beginning at 1pm)! Hello, free market bouquets & special sweet treats!! You can also enter to win other prizes, including The Mrs. Box, a Starbucks gift card/mug set, and a special giveaway from Travel Unrivaled, at the event!! That’s right! 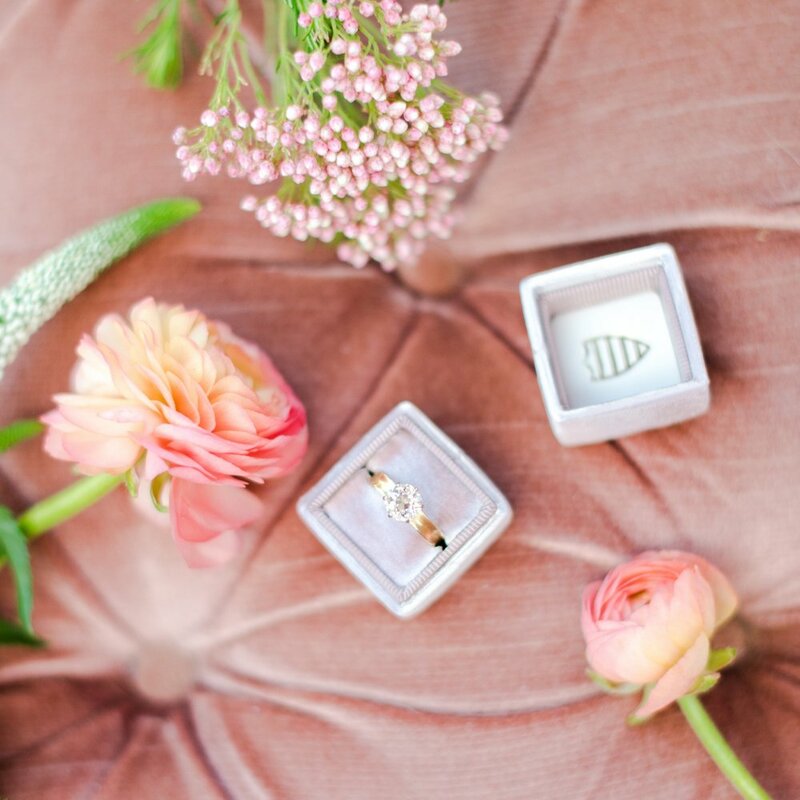 We are giving away one of those adorable little heirloom ring boxes to one lucky bride! 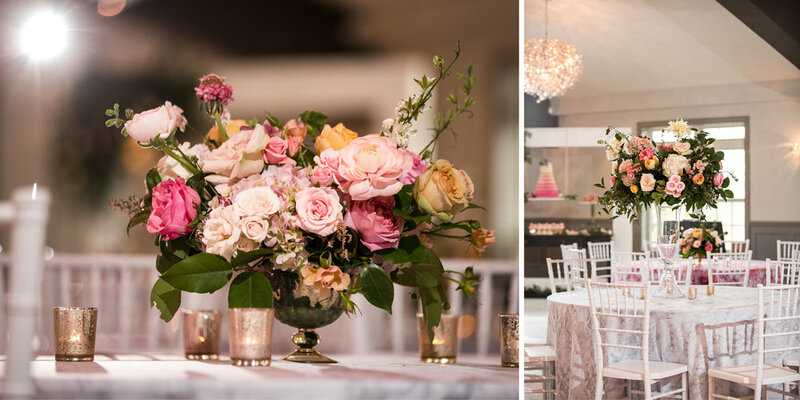 We will be offering short individual floral and coordination consultations before and after the Open House!Click here to schedule a meeting! Are you in?! Click below to RSVP! We hope to see you there! 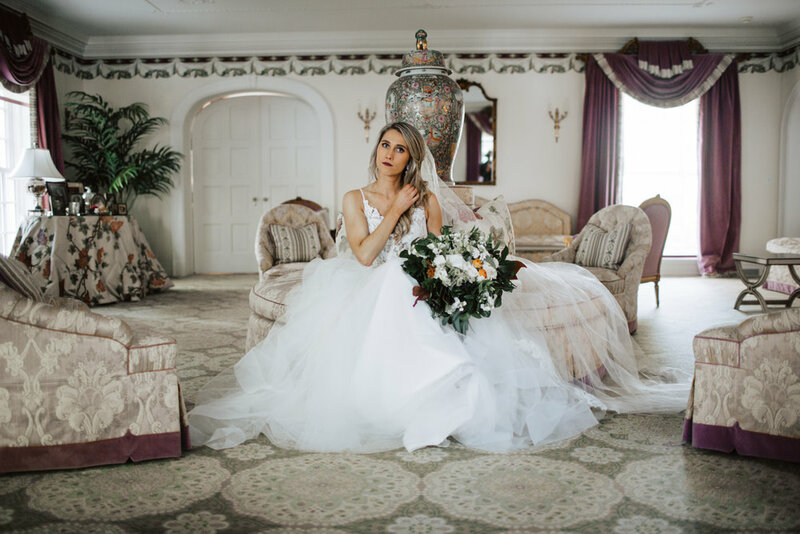 At Wild Hill Flowers and Events, we love getting to know our sweet brides and their one-of-a-kind love stories!! You may remember the love story contest we held last February to win FREE WEDDING CEREMONY FLOWERS! The contest was a hit (click here to see the winner from last year)! So of course we had to do it again this year! We received an overwhelming number of entries the last few weeks and loved reading them all! To select the top 7, the entries were read by a panel of judges who are unrelated to the contestants, all at independent locations to secretly submit their votes. It was such a tough decision, our panel couldn't just choose five! So, here are our top seven love stories! We just need your help choosing the winner of a FREE wedding ceremony from Wild Hill! And now for our top 7…. What makes our love story unique is that we share a service to our country. Kevin is an active duty MP officer currently stationed at Fort Leavenworth, KS. He’s been in the US Army for over a decade. I myself have 5 years of service for the Army behind me when I was a Medical Laboratory Specialist serving all my time at Fort Bragg, NC. That is where we met! Around the time I was exiting the military after completing my 5 year contract I had thrown a bbq bash at my house and my friend/coworker Jennifer asked if it was alright if she and her husband bring a friend along. I said the more the merrier! It was not an intentional set-up but the moment we met there was an instant spark! When we were 17 and 18 years old, Tristan and I met in a way I would have never predicted: taking the ACT. Tristan was seated right behind me in the test room, and after sharing only a few short sentences, he boldly asked for my phone number. I would come to learn that this boldness is one of Tristan’s hallmark characteristics. I normally would not recommend giving out your phone number to a total stranger, but the outcome here was favorable to say the least. About a week later, we went on our first date: ice skating at Crown Center. Our story, at first glance, may be seemingly ordinary, but that could not be further from the truth. The odds of us finding each other in the right place at the right time were astronomical--separated by a few years in time and a mountain of different life experiences, somehow our paths crossed. Aaron was on a safari in South Africa a few years ago and his tour guide on this particular safari was none other than his soon-to-be wife, Amy. After a few hours of spotting rhinos, zebras, springboks, and a herd of elephants Aaron said, "Amy, have you ever been to America?" Hesitantly she replied - No, why do you ask? A smile came across his face and he said, "You're going to soon, because we're heading to Kansas City!" Sometimes, you can look back at your life and pinpoint a moment that changed its course forever. For us, that moment happened on a chilly March morning in a tedious organic chemistry lab at UCLA. We’d spent an entire eight weeks in the same lab together, but it wasn’t until we were randomly paired as lab partners that we interacted. Our first conversation started ordinary enough: Names. Hometowns. Major. Spring break plans. A few days later we were sneaking to the roof of the Math-Sciences Building after class, to trade music that got us through rough patches and ask each other in depth questions about what we hoped to find out of life. When only one, turned into one more. Rewind to the winter of 2016 in the cold, windy state of Nebraska. I was a senior at Creighton University and had just finished my last season of playing soccer, and I had big plans in mind after graduation. The first plan was to get out of Nebraska and move back home to Kansas City! At this time, with one semester left of undergraduate school, I was so happy and confident in myself, and my future, that I was not looking for any type of relationship at all. One of my best friends mentioned in conversation one day that this guy who played baseball at our school, Federico Castagnini, would be the perfect man for me – he had just come back to Creighton to finish up his degree after playing baseball for the Baltimore Orioles for 2 years. Lucas and I met when we were 12 years old at Westridge Middle School. We became friends in our 8th grade social studies class, and we became nearly inseparable. But, we were strictly only best friends. I told my cousin in middle school that I was going to marry Lucas one day, but I didn't want to date him yet (middle school thought process, makes sense right?). During high school, we hung out almost every day after school. Lucas was the first person I would tell about any boy I liked or had a crush on, and little did I know that he had liked me since we were 13 but he was too scared to tell me (I'm the worst - right?). Thanks for taking the time to read these amazing love stories! Did you vote for your favorite? Be sure to check back on Valentine’s Day to see which couple wins a FREE wedding ceremony from Wild Hill Flowers and Events! We can’t wait to see who it is! Valentine’s Day is just around the corner and we couldn’t be more excited! Whether you are sending some love to a special someone, a family member or a friend, we are here to help! 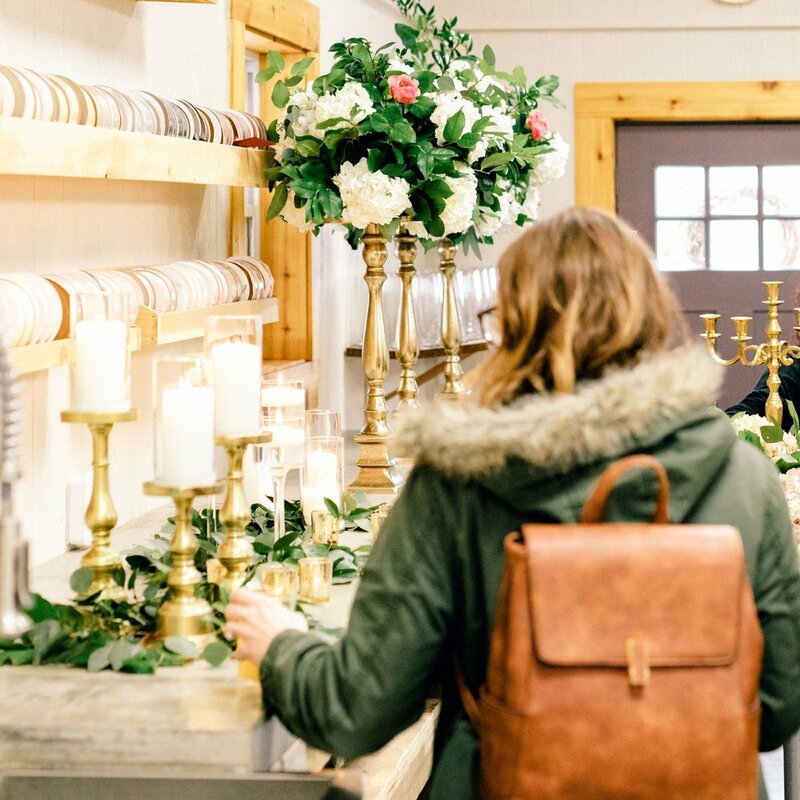 Here are three ways Wild Hill Flowers and Events can make your Valentine’s Day beautiful, while keeping things simple! 1. 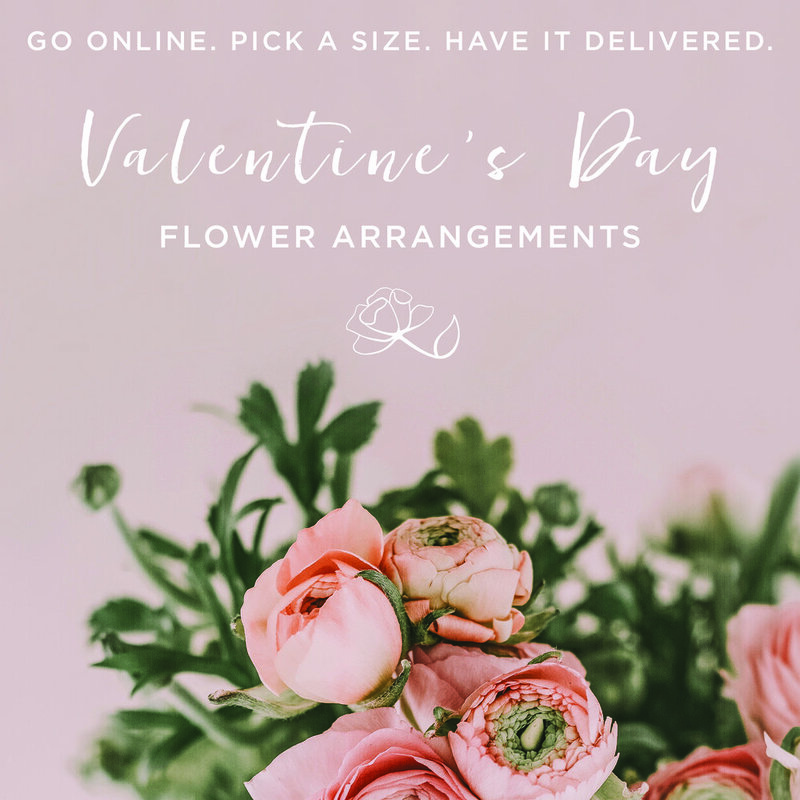 Order an arrangement online & have it delivered! Unique and beautiful floral arrangements without the hassle! Wild Hill Flowers and Events is offering Valentine’s Day arrangements in three different sizes! Arrangements will consist of an assortment of hydrangea, roses, greenery and other blooms & textures placed in a clear glass vase with ribbon & the option for a personal message! Available for pickup or delivery in the KC Metro on the 14th! 2. 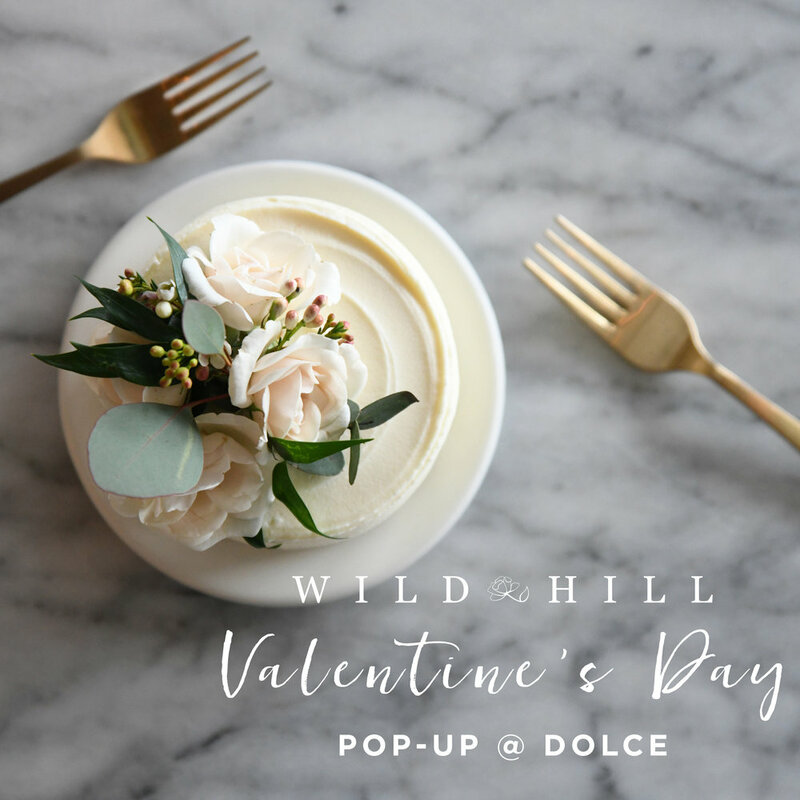 Wild Hill Valentine’s Day Pop-Up at Dolce Bakery! 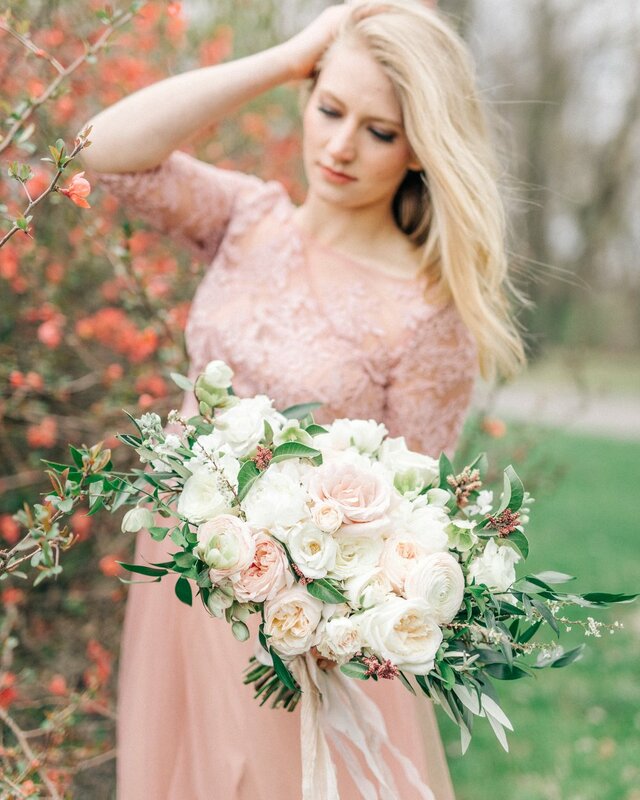 Wild Hill Flowers and Events will be at Dolce Bakery in Prairie Village from 3-6pm on Valentine’s Day! We will be offering $25 market bouquets wrapped in paper! Dolce Bakery will also be selling special $16 Floral Valentine’s Day cakes for two! These mini cakes will be decorated with floral toppers for the perfect romantic Valentine’s Day dessert! No need to order your market bouquet ahead of time, just stop in to pick up your sweet treats and we will be there to help you! You can also choose to have one of our full size arrangements delivered to Dolce for pick up between 3-6pm! Just let us know when you fill out the order form! Wild Hill Flowers and Events will be at The Bean Coffee Co. in Spring Hill from 3:30-6:30pm on Valentine’s Day! We will be offering $25 market bouquets wrapped in paper! The Bean will also be selling special $16 Floral Valentine’s Day cakes for two from Dolce! No need to order ahead of time; cake and market bouquets will be available for pick up! You can also choose to have one of our full size arrangements delivered to The Bean for pick up between 3:30-6:30pm! Just let us know when you fill out the order form! You may remember the love story contest we held last February during peak engagement season! 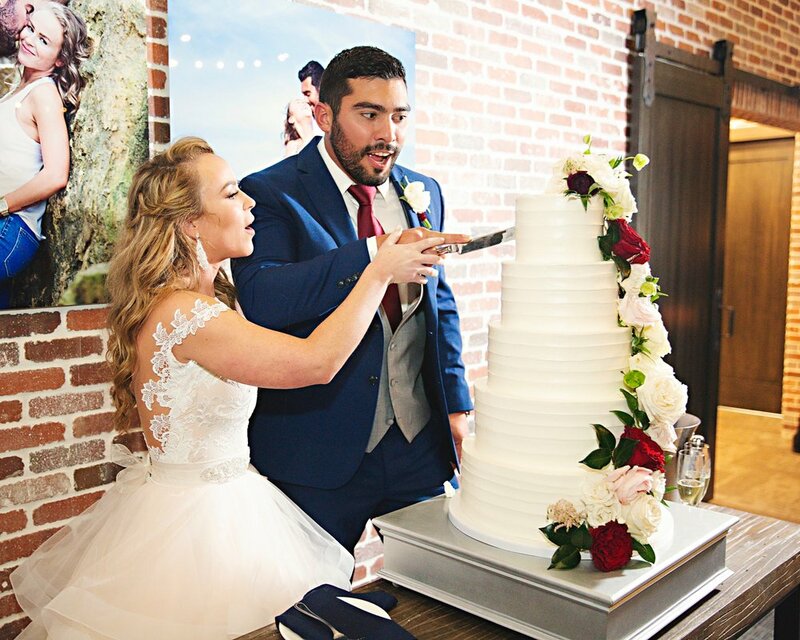 We asked brides to submit their love stories to us for the chance to win a FREE WEDDING CEREMONY from Wild Hill Flowers and Events! The contest was a HIT! 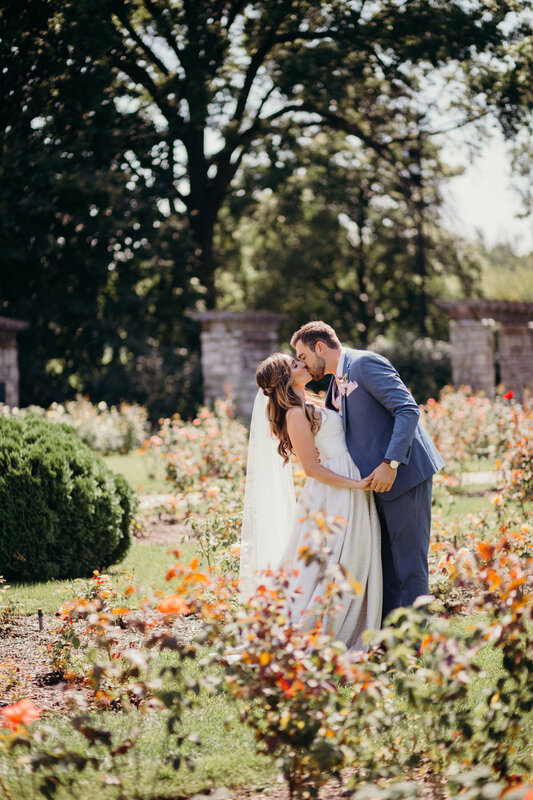 We received countless love stories from Kansas City brides: some that made us laugh, some cry and others that were just plain adorable! We did our best to narrow it down to our top 7 favorite (we couldn’t choose just 5) and then opened up voting to the entire Wild Hill Community! This is where Sarah & Blake come into play, our 2018 winners! These two took the contest by storm with their unique love story, which you can read below! “Most couples have a good story about how they met at yoga or in physics class or are high school sweethearts, but that’s not us. We first met way back in middle school, but were too young and naïve to know what we were missing out on, so instead we’ll fast forward to senior year of high school and say that’s when we truly met. And I can tell you; I literally fell in love right then and there. One of my best friends (soon to be bridesmaid) and Blake’s childhood friend hosted a dinner party for her 18th birthday, definitely 18 going on 35. Ellen had set our seats next to each other at the table knowing we would hit it off, and we became fast friends. Fast forward a few months and we are both attending at the University of Kansas. Meeting up a few times but both very busy and involved in different things. Eventually we lose touch and start heading our own ways dating other people. Things just didn’t work out then. A few years later, we are on spring break and juniors in college. I sent an innocent snapchat to Blake with none other than my best friend and his mutual friend Ellen. Blake immediately responds and send a quick text asking how I’m doing. We texted the rest of the week and next thing you know we were back at school and getting coffee on Mass St. (If you know me, you know that coffee is the key to my heart and probably 20% of my body at any given moment.) 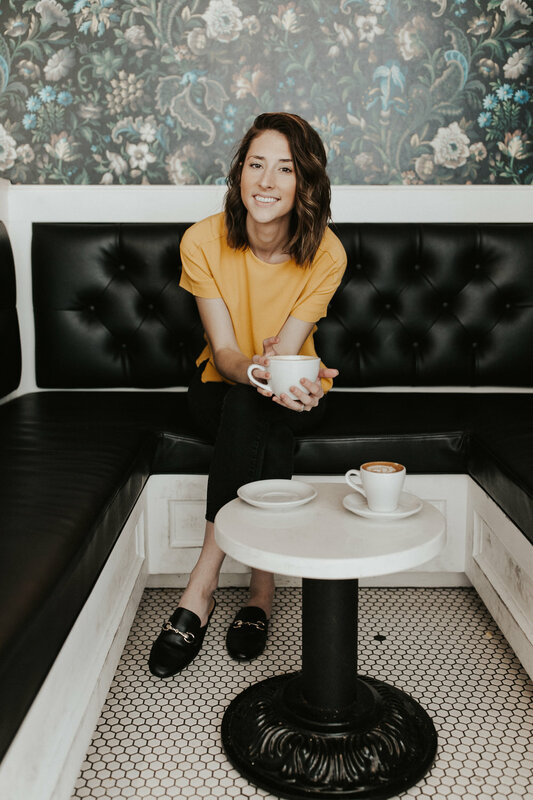 Coffee dates turned into dinner dates and adventures at Clinton Lake. We began dating soon after and have been dating for almost 5 years now! We continue to take adventures on a larger scale from road tripping and camping out west in Colorado, Utah, Oregon and California to camping on the north shore of Minnesota. Life is better when we are together, especially when we can take our sweet pup Maverick with us! Then October 12, 2017 rolls around. I am in Physician Assistant school and on a rotation in Topeka. I come home to Blake smiling and exclaiming that we are going on a trip! I am still confused and assume it is somewhere local. I ask him what I need to pack and he hands me my bag fully packed. At this point I knew something was up. He also tells me we have a flight in about 3 hours and need to head to the airport. I am crying at this point and know something is definitely going to happen this weekend. On the way to the airport I begin guessing places we are going. “East coast or west coast?” West coast. I finally guess San Francisco as I know Blake has always wanted to take me there. I guessed right and we landed later that evening. The next day Friday October 13th Blake and I bopped around San Francisco and Blake told me that were going to take pictures later that night so I needed to “dress up.” This is not an uncommon request as Blake is an amazing photographer. But I had an inkling something else was in the air. Adorable, right?! It’s no surprise these two won! We couldn’t wait to do their wedding this past October! 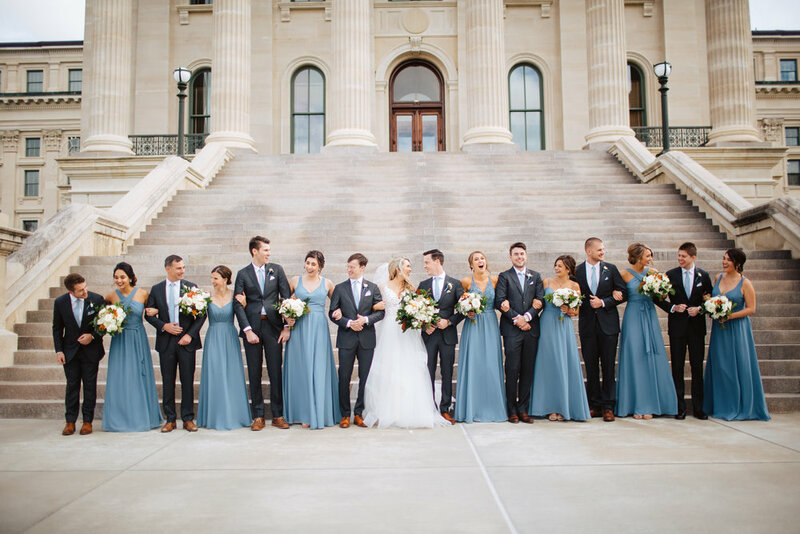 Keep scrolling to see their entire GORGEOUS wedding day and all the amazing vendors involved!! And now for our EXCITING ANNOUNCEMENT!! We loved this contest so much that we HAD to do it again this year! 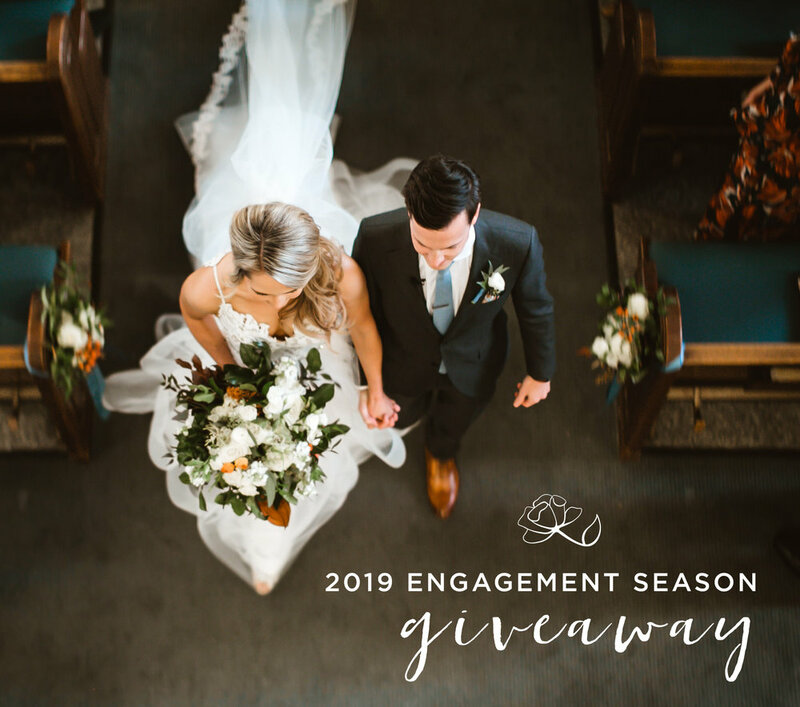 Introducing… Our 2019 Engagement Season Giveaway! How to Enter: At Wild Hill Flowers and Events, we love getting to know our brides and their amazing love stories!! That’s why we are once again giving away a FREE wedding ceremony to a lucky 2019/2020 bride! All you have to do is tell us your love story and what makes it unique! A panel of 10 will assist us in choosing the top 5 favorite stories to be posted on social media! We will then open up voting to the Wild Hill community to pick their favorite! Send your love story along with an engagement or other photo to ashley@wildhillflowers.com. Must enter by February 1st. Voting will begin February 7th and the winner chosen on Valentines Day!! (Giveaway includes bridal bouquet, bridesmaid bouquets, corsages, boutonnieres, and a romantic altar piece (arbor, pedestal arrangements, or other altar piece of your choice) Reception pieces can be added for additional cost. Giveaway open to booked/unbooked brides! If this new year includes getting a new last name, you’ll love the tips we complied below! 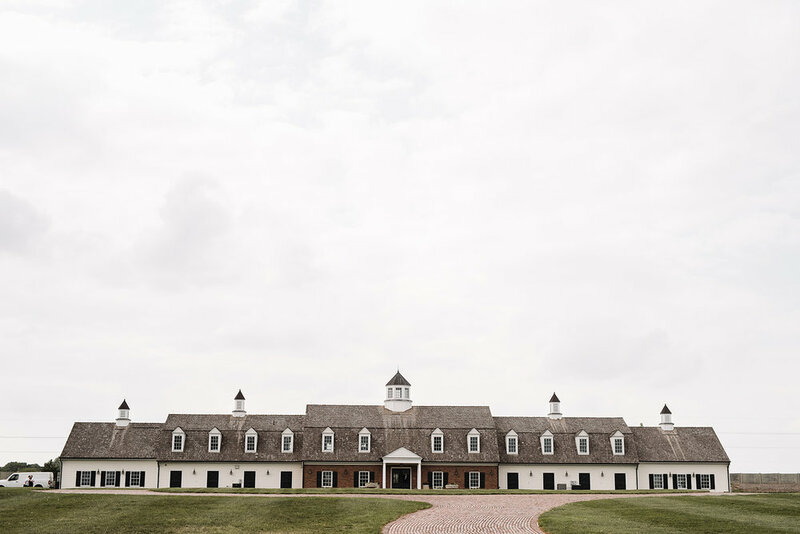 After the excitement sets in and the planning begins, the first step is finding the perfect place to say, “I do.” There are hundreds of venue options in the Kansas City area- whether you want rustic, modern, grand or outdoors; there is a venue for you! Check out these helpful tips to narrow down the search to find where you and your partner will start forever! 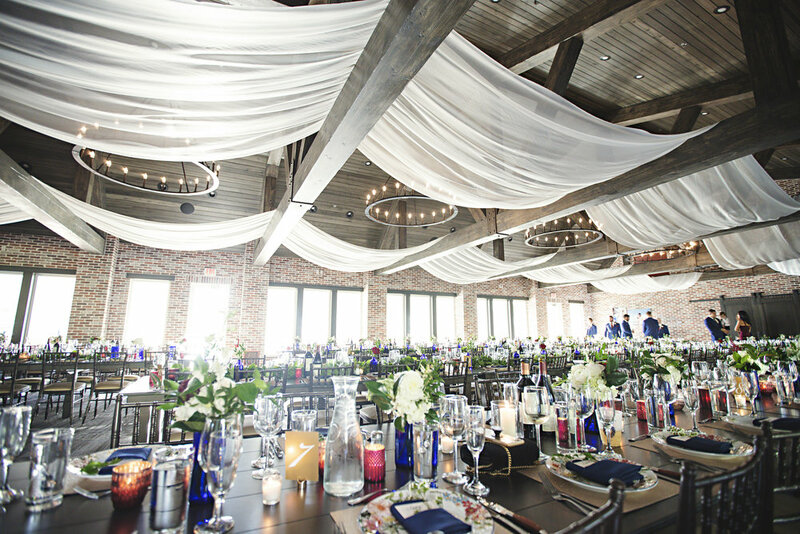 Together, make a list of “must haves” and “wants” for a venue. 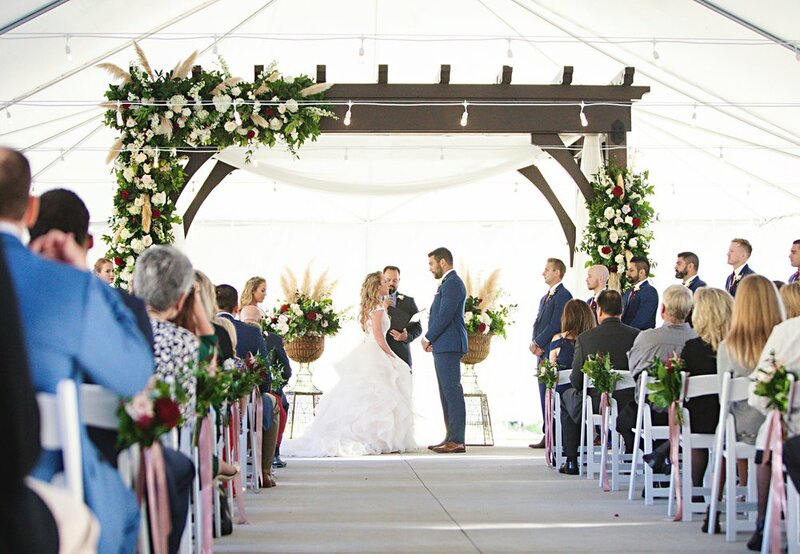 A must-have could include a ceremony and reception space at the same location, parking or a bridal suite. Examples of wants might include separate bridal and groom suites, tables/chairs/linens provided or an onsite coordinator. Determine your capacity. 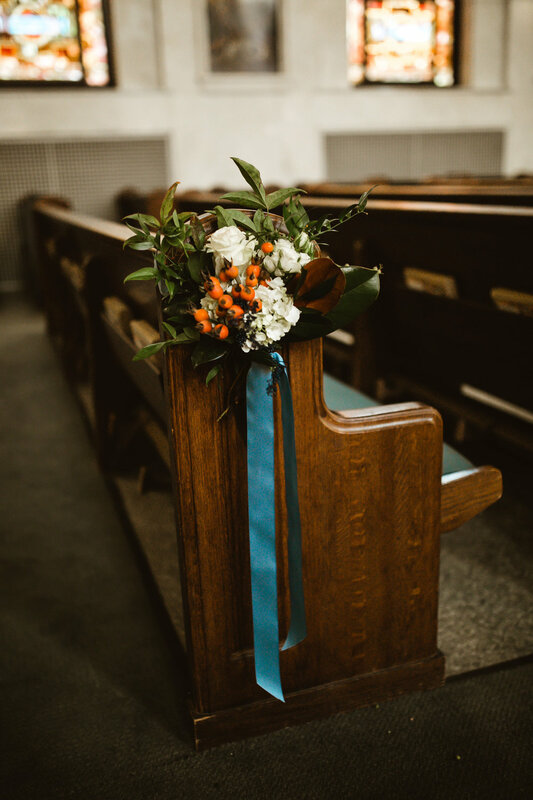 The general rule is 75% of invited guests will attend your wedding, although if most of your guests are in-town, you will see a higher rate of attendance. Even though this is a great rule to keep in mind, always plan for the highest possible guest count in order to secure a space that will be comfortable for you and your guests. Is an outdoor space a must-have? 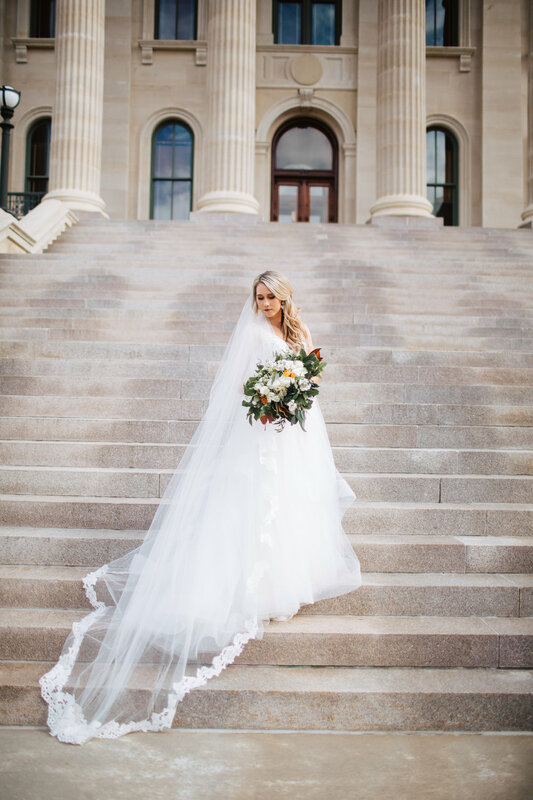 October has become the most popular wedding month of the year, largely due to the b-e-a-utiful weather in Kansas City during that time of year. If you are passionate about hosting an outdoor wedding, be sure to find a space that accommodates your wishes. Not set on having an outdoor affair, but interested in having the ceremony and reception at the same location? Be sure to ask where guests will mingle while the room is being flipped, and if there is an outdoor cocktail hour area, double-check what Plan B will be should inclement weather occur. What furnishings are included? Every venue will provide something a little different. All options are wonderful, we simply encourage you to read through the fine print to be sure you understand exactly what service(s) you are receiving. 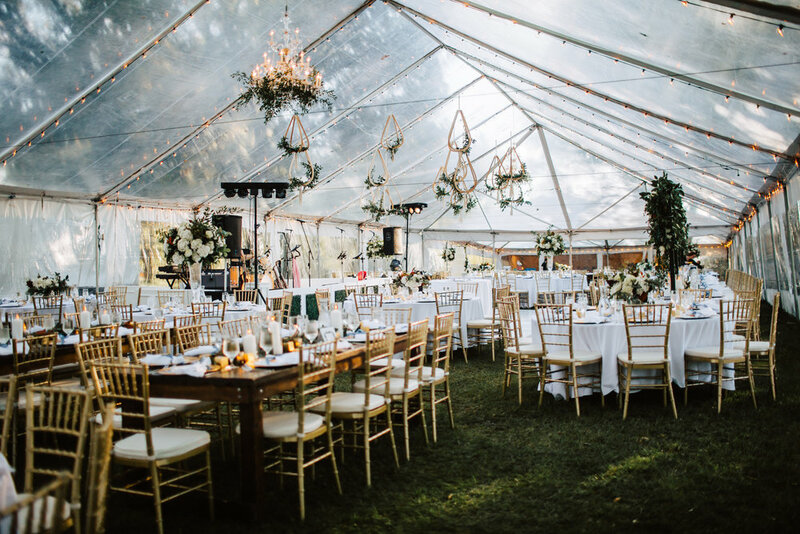 Some venues include tables, chairs and linens in the rental price, while others do not. Check out if the staff will set up and tear down all furnishings as well. Preferred vs. exclusive vendor lists can be confusing. The venue coordinator or wedding coordinator is a wonderful resource- no question is a silly question when planning a wedding! 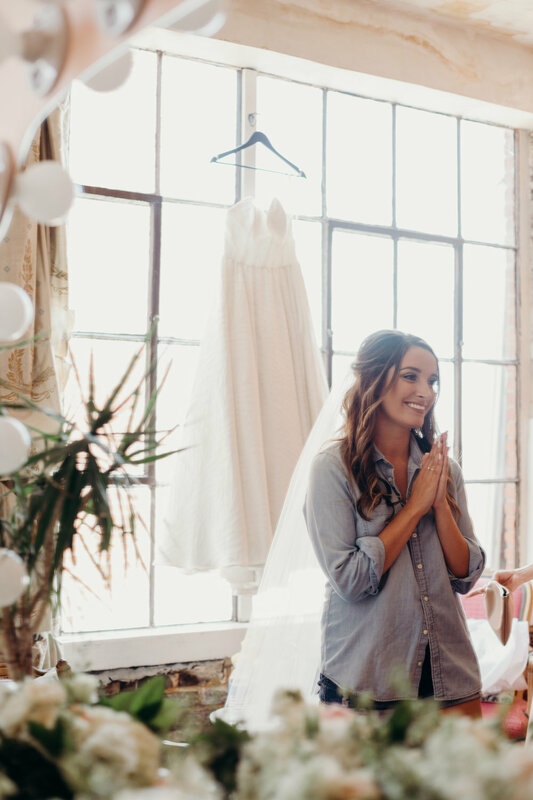 A preferred vendor list is, generally, a list of suggested vendors that the venue works with often. These vendors are familiar with the space and the rules associated with this venue. A preferred vendor list is a wonderful place to start when researching vendors. In contrast, an exclusive vendor list typically consists of required vendors you must use when booking the space. In this situation, there will usually be a fee associated with not using the specified vendors. If a venue provides an exclusive vendor list it is typically referring to the caterer or DJ. Specific timing dictated by the venue. There are a handful of venues that will allow all day access, but most venues are booked through hourly packages. A typical venue package will allow for a 5 hour reception and include 4-5 hours of access time prior to the event start time. This access time is used to decorate and take photos in the space. If the venue you are touring provides in-house bar services there will be a separate bar open and end time. 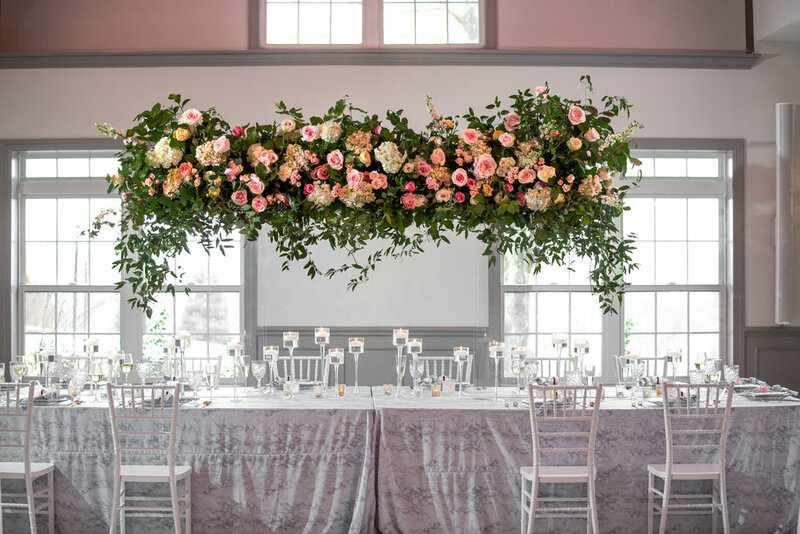 Double check that you understand all specified timing requirements through the venue to be sure your expectations are being met. If you’re anything like me, the Christmas tree is up the minute after Thanksgiving Day and Michael Buble’s holiday album is playing on repeat. I adore this time of the year- it doesn’t get much better than the cozy feeling of having the fireplace burning and the delicious smell of holiday baking. Each year I can’t wait to head back home to spend time with the family and lounge on the couch, but last year it was my turn to host. I am a planner- both professionally and personally- so I thought, “How hard could this really be?” HA! Boy oh boy do I wish I would have leaned on some of my favorite local businesses to make the weekend go stress-free. Instead of doing it all yourself, check out the list below of crazy awesome local businesses that can help you put on a beautiful and delicious holiday affair! Get your tablescape from Ultrapom! Ultrapom has anything and everything! Their green velvet linens with gold beaded chargers would be a showstopper for your family gathering. Throw in a few estate goblets and modern gold flatware and it will be a party to remember! Don’t forget to add on a few chairs if you’re like me and don’t have seating for 12! End your meal with a sweet treat from Dolce Bakery! From custom cookies and cakes to their fun seasonal flavors, Dolce Bakery in Prairie Village, KS never disappoints. If you’re looking for some extra holiday fun, pick up a few of their cookie decorating kits! Put the finishing touch on your table with place cards from East + West Design! This small detail can go a long way and provide a memento for your guests to take with them! A few creative ways to add a place card to your tablescape is on a piece of fruit, wrapped around the flatware, or used as the place mat with a touch of calligraphy. Top the night off with bubbly from One Hope! Not only does One Hope have the most sparkly wine, but each purchase gives back! Currently, One Hope has donated over $3 million to nonprofits that support global heath care, providing furever homes for shelter animals, meals for children, life-saving vaccines and more! You can purchase directly from their warehouse, or from a local sales rep.